With an extensive coastline, pristine beaches and an enchanting ancient culture that has influenced art, language, politics, sports and philosophy all over the western world, Greece has a lot to offer to the quintessential tourist. With Hertz car rental in Greece, you can easily explore the length and breadth of this gorgeous country right from the ancient ruins at Athens to the gorgeous beaches around Santorini. Choosing to explore the country by road can prove to be an extremely fulfilling experience. 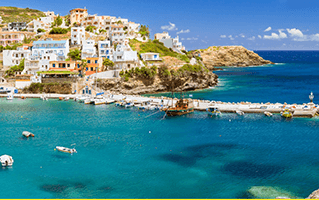 Not only will you get a chance to soak in the scenic and diverse terrain that hugs the country’s coastline and its islands, but you will also be able to make unconventional stops in the Greek countryside for a wholesome and rewarding travel experience. When you opt for a car rental in Greece, you will be able to benefit from the well-maintained and well-marked roads. In addition to exploring the historical attractions and gorgeous beaches of the country, a great way to truly delve into the culture is through its food culture. Traditional Greek dishes are full of vegetables, herbs and grains that are native to the Mediterranean region. Olive oil, too, is a staple of Greek cooking. Lemon, tomato paste, lamb, pork and chicken also feature regularly in the dishes. During your drive around the country, make it a point to look out for authentic Greek dining experiences. With the comfort and convenience of driving around at your pace, Hertz provides you a 24*7 service commitment for a seamless driving experience in the gorgeous country of Greece.